Your opinion matters. Leave A Review Or Edit This Listing for Peoples Resource Center Southeast. PRC's Food Pantry offers fresh produce, meats, dairy, canned goods, and household staples to our clients. During your visit you will be given a cart and encouraged to select the foods which are right for you and your family, rather than receiving a pre-packed box. Food Pantry services are available to all low-income residents of DuPage County. Each client household may receive food once a month. The amount of food is dependent on family size and special needs. First time visitors to the Food Pantry are asked to complete a simple client interview and registration process. Learn about Becoming a Client. Especially note the documents you will need to bring on your first visit. All clients are greeted by a Food Pantry volunteer who will answer questions, explain our process, and provide you with a cart. You are then free to choose the foods you want from the large selection available. Volunteers will help you with bagging the groceries and getting the food to your car. We always need more information on our pantries. 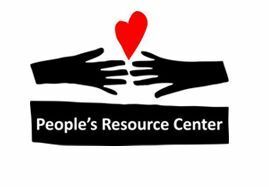 If you know of any details, volunteer information, website, hours or more description information about Peoples Resource Center Southeast please add a comment (below the map on this page), with information. We will then display this for all visitors on this page.